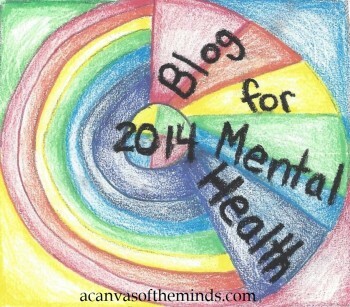 I want to thank everyone who participated in the Blog For Mental Health 2013 project so much. Reading each of your posts was incredibly inspiring, and seeing how many people participated, even late in to the year, was very gratifying. The numbers were fantastic, and it honestly thrills me to see more and more individuals speaking up and sharing their experiences with mental illness. There was not only strength on display, but grace and a quiet dignity woven throughout the threads of all of the pieces. It makes me quite proud, and strengthens the hope I have that one day soon, anyone with a mental illness will be able to speak about it openly — free from the fear of being stigmatized and misunderstood. Bipolar For Life ~ Blog For Mental Health 2013! Christian Concern For Mental Health ~ Blog For Mental Health 2013 – An Invitation! Cupcakes and Whimsy: The Journey to Mindfulness ~ Blog for Mental Health 2013: I Finally Did It! Follow Me Films ~ You Have to be Brave with your Story, so Others can be Brave with theirs…. The Good Mood Foodie ~ Blog for Mental Health 2013: And I’m bringin’ SNACKS! I Was Just Thinking. 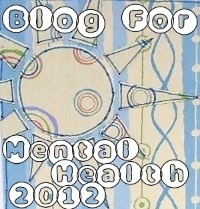 . . ~ Blog For Mental Health 2013 Is Here! itsjustpeanutbutter ~ blog for mental health. Lady Lazarus blogs ~ Blog for mental health 2013. Mental Health Writers Guild ~ Blog For Mental Health 2013 – An Invitation! Never cry over spilled milk ~ My Pledge for Mental Health!!! Reson8 Freedom ~ Blog For Mental Health 2013 – An Invitation! 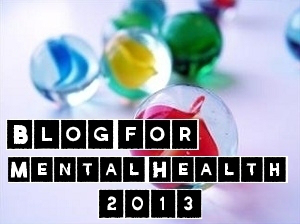 scienerf ~ Blog for mental health 2013 has begun! Silver Linings ~ She’s Back! Susie inspired and rewired ~ Mental health …. Teens for Global Mental Health Awareness ~ Blog For Mental Health 2013 – An Invitation! © Ruby Tuesday and The Official Blog For Mental Health Project 2014. Unauthorized use and/or duplication of this material without express and written permission from this blog’s author and/or owner is strictly prohibited. Excerpts and links may be used, provided that full and clear credit is given to Ruby Tuesday and The Official Blog For Mental Health Project with appropriate and specific direction to the original content.